Basic cooking facilities are availble. Please let us know in advance if you plan to cook during your stay. 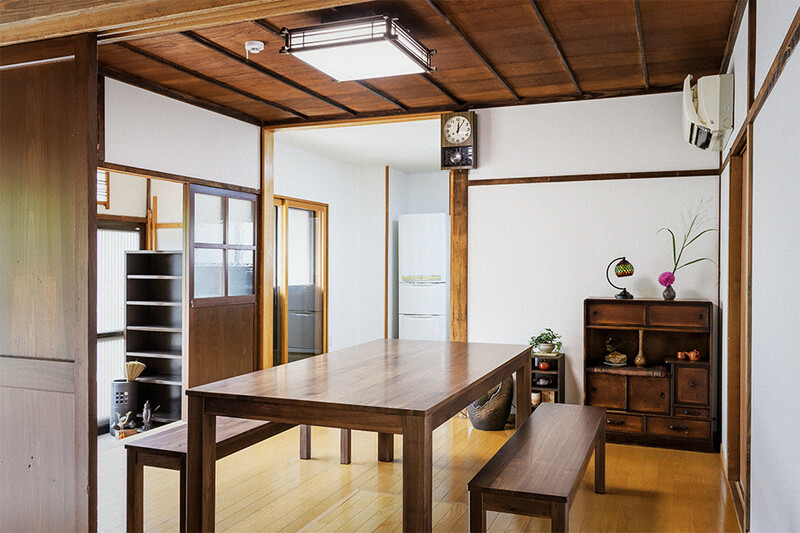 ・Cooking utensils and dishes are provided. 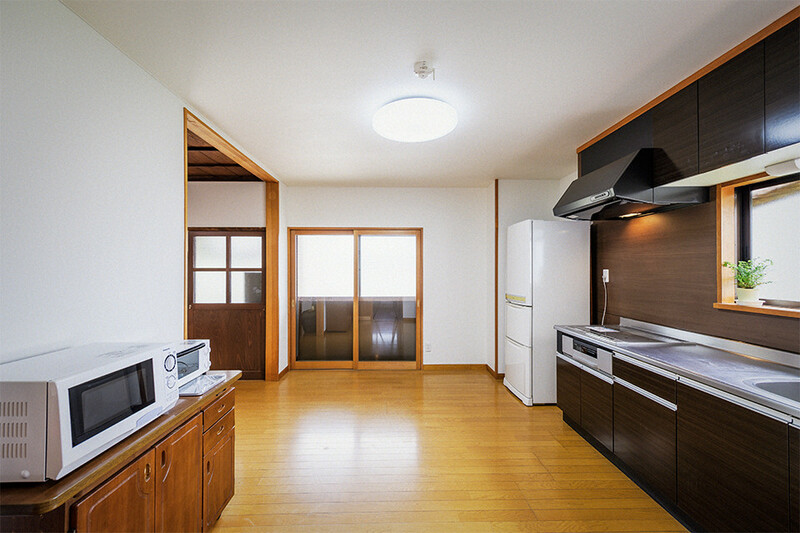 ・The kitchen is equipped with a microwave oven, a toaster, and a refrigerator. 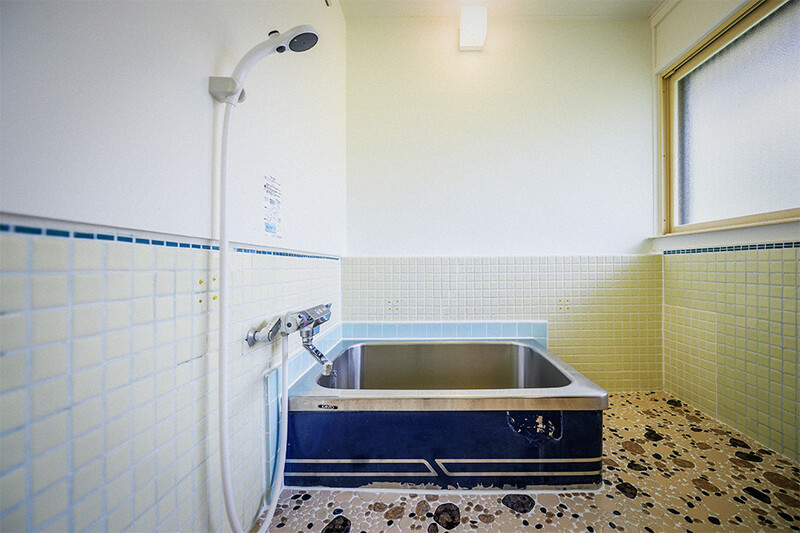 The bath room has cute retro-style tiling. ・Shampoo and conditioner is provided. ・Can be used 24 hours a day. Separate toilets for men and women are shared by all guests. 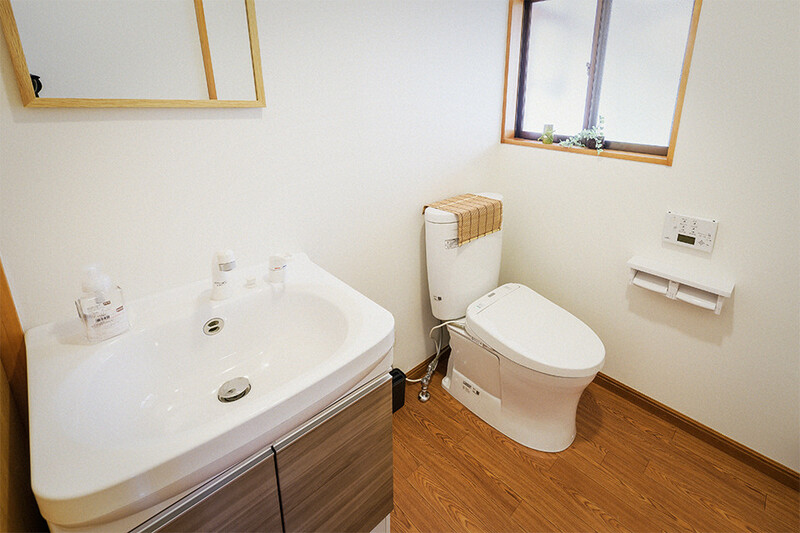 ・The toilet seats have washlet functions. 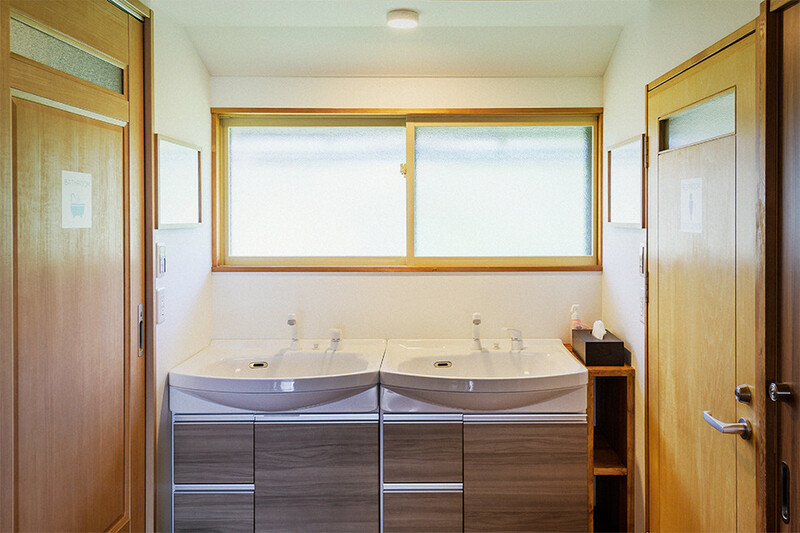 The washroom is shared by all guests. ・A hair dryer is available. The lounge offers a great place to relax with a view of the garden as well as a place to eat meals.